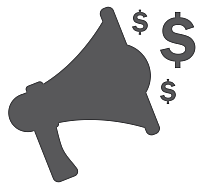 If you have heard about paid surveys, it is very possible you have heard about Survey Junkie. 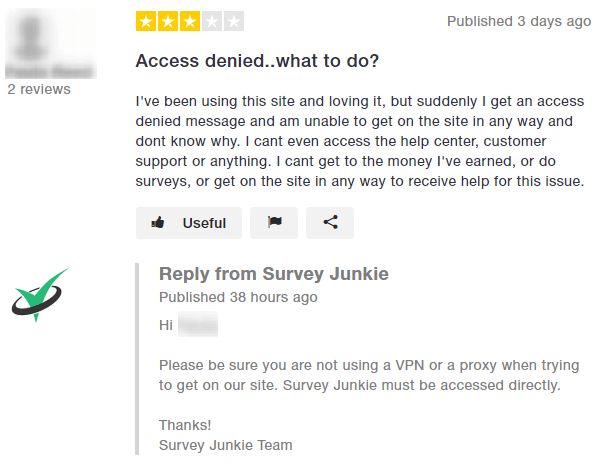 But is Survey Junkie legit and safe, or is it one of the survey sites to stay away from? I have joined the site to check it out and test it myself, and to compare it to the other survey sites that are out there. In this in-depth Survey Junkie review I will give you all the details about what it really offers, how the opportunities are, who it is for, and more, so you will know exactly what to expect if you decide to join. 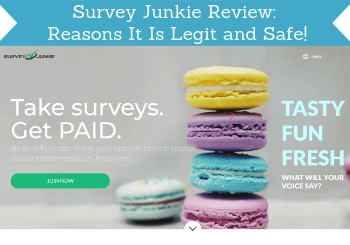 What is Survey Junkie and what does the site offer? Survey Junkie is a survey site that has been around for a while. Let me reveal right away that it is a legit site, as you had probably figured out from the headline of this article. Later I will show you the 5 reasons for this. But that a site is legit does however not mean it will necessarily be worth joining for you. So let’s go over what it offers and how good the opportunities are, so you can see if it will be for you or not. 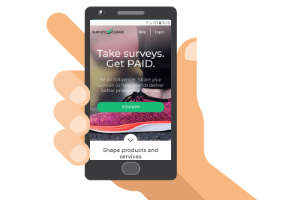 Survey Junkie is, first of all, a survey site, and the main way you can earn on the site is by taking the online surveys it offers. It has a decent amount of surveys available. The list of the available surveys is regularly updated, so if you at some point cannot see any available surveys, just try again a few hours later. Like on most other survey sites, you will not qualify for all the surveys you are offered. That is just how paid surveys work, as the companies that pay for you to take them often look for the opinion of specific demographic groups. So do not give up if you disqualify for several surveys – it happens to everyone. I have often seen people ask how to qualify for more survey on Survey Junkie. The thing is that you cannot as such use any kind of trick to qualify for more. But what you can do is to fill out your profile info on Survey Junkie. It will give you a better chance of matching with the surveys, but there is no secret trick to qualify for all the surveys, and sometimes it can take a little patience to find the ones you qualify for. But overall Survey Junkie gives decent opportunities to earn on paid surveys. Many people think Survey Junkie is only offering paid surveys, but it actually has a few other great opportunities to earn – one of them is product testing. This is not something you as such can sign up for. Once you join, you can set your preferences, and if you say you are interested in product testing, you will be told when one of these opportunities are available. Product testing can be a great way to earn extra. Be aware that this is not something you will necessarily be offered very often. Maximum once per month, and often even less. However, if you are offered this, it is a great way to earn. You are first asked to do a short online survey to see if you qualify. If you do, you will be shipped a product to test. You will then get paid $5-$50 to provide feedback about the product, AND you get to keep the product as well. It is not something that takes a long time, and it is definitely something I would recommend saying yes to, if you get the opportunity, as it is some nice extra easy money, and you get to keep a new product as well. Another extra way to earn on Survey Junkie is by participating in focus group interviews. Like the product testing, this is not something that you will be offered very often, but if you are, it is a great way to earn some extra cash. If you get the chance, focus groups are a fun and fast way to earn a bit extra. Survey Junkie has two kinds of focus group interviews – online focus groups and in-person focus groups. The online groups are where you at a certain time “meet” online with a small group of people to give feedback and have discussions about a certain product or topic. In-person is the same, but you are just meeting in person. I have before participated in a few focus group interviews, and in addition to it paying pretty well for the time spent, it can actually be quite fun to participate in, and it is a great way to have your opinion heard. Survey Junkie offers between $25-$150 for participating in such interviews. You will of course always be told in advance how much you will get paid, so you can decide if it will be worth your time or not. Sometimes Survey Junkie also offers phone interviews. This is again not something you will be offered very often – maximum once per month. Sometimes Survey Junkie also offers phone surveys. If you register on the website that you are interested in this, you will receive an online survey when such an opportunity is available. Then a phone interviewer will call you and ask you additional questions about that specific topic. This can be another great way to boost your earnings and have your opinion heard on important topics. You will get somewhere between $5-$100 for participating in such a phone survey depending on the length of the survey. Something I really like about Survey Junkie is that you get a joining bonus, and a few chances to earn some easy money right away. Just by joining you receive 25 points (equivalent of 25 cents). Survey Junkie has a few joining bonuses that will give you earnings from the start. 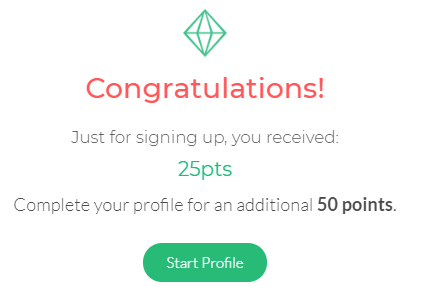 If you fill out your profile (which will only take a couple of minutes), you will get another 50 points. Also, by confirming your email you will get 25 points. There are also a few short tutorials you can see to earn an extra 10 points and some extra profile surveys where you can earn a total of 40 points. So in total, you will be able to earn your first 150 points just a 5-10 minutes after joining. It is not a huge amount, but still gives a very good start, and a nice way to get your earnings kickstarted. When you take surveys on Survey Junkie, you get paid in points. These can then be exchanged into a number of rewards depending on where you live. 1 point is worth 1 cent. So 100 points is worth $1. The payout threshold is 1000 points ($10), so this is the amount you need to earn to request a payout. There are survey sites with lower payout threshold, but $10 is a good and decent low payout threshold for a survey site. You can get paid in cash through PayPal in all countries where Survey Junkie is available. Just be aware that in some countries you need a verified PayPal account. In the US you can also get paid in e-giftcards or paid directly into your bank account through Dwolla. So overall some pretty good cashout methods in my opinion. Survey Junkie gives some decent earning opportunities. But it is important to join with the right expectations. It is NOT a way to make a full-time income or get rich easily. It is a great way to make some extra cash and have your opinion heard, but survey sites in general will not make you a full-time income, even if you join as many as you can. If you join several sites, it is possible to earn some nice extra cash, and it is completely risk-free, but you just need to do it without expecting to be able to make a living from it. I would suggest you to also join other survey sites in addition to Survey Junkie, as this alone will give you limited earning opportunities. You can for example check out the list of the best survey sites here, and join a few extra to boost your chances of earning. One thing I also look for when testing a survey site is how easy it is to use on mobile devices, as taking surveys on your mobile makes it easy to do whenever you have a few extra minutes. Survey Junkie does not have an app, but that does not matter too much. The website is fully optimized and works well on mobile. So if you would like to be able to take surveys on the go, it is possible with Survey Junkie. Just be aware that some of the surveys that are from third-party providers might not be fully optimized for mobile, so for some surveys, it might take some zooming in and out. Survey Junkie is only available in a few countries. These are: the United States, Canada, UK, and Australia. You have to be at least 13 years old to join. If you live in one of these countries it can be worth joining and a way to earn some extra cash. If you do not live in one of these countries, you can instead check out the best surveys in your country here. How good the support is tells a lot about the reliability of s survey site. I have personally been in contact with the Survey Junkie staff a few times, and I have received very quick and good answers. Also, I have seen how quickly the support staff answers if there are any questions or concerns from people that post reviews on for example Trustpilot. That also tells a lot about the company and is in my opinion a good sign. But let me also just address a few complaints I have seen. I am overall pretty positive about Survey Junkie myself. But I still decided to look into any possible complaints. I saw a few complaints about the company on Trustpilot. You can see an example of one on the image below. Example of a Survey Junkie complaint that gets a quick reply. What is worth noticing is that Survey Junkie replied to the complaint within a day, and came with a possible solution. That is in general the case, when people have issues they complain about, and this is definitely important. The most complaints I saw were from people that felt they did not qualify for the surveys often enough or did not make money enough. This is the reason I already mentioned earlier that when taking paid surveys, it is important to do it with the right expectations. And on more or less all survey sites there will be surveys you do not qualify for. If you are not aware of this, you might end up being disappointed. But overall the Survey Junkie reviews on Trustpilot are very good. The overall rating is 4 stars based on more than 7000 reviews. The overall rating of Survey Junkie is high. This corresponds with my own positive experience of Survey Junkie as a safe and legitimate company. I think it is already clear that Survey Junkie is legit. But this does not mean it will necessarily be the right option for you. So let’s sum up the pros and cons, so you can get a better overview before deciding. The pros are the 5 reasons it is a legit site I mention in the headline of this article, as these together are aspect of a legitimate survey company. Overall Survey Junkie gives you decent chances of earning some extra cash. It is a good idea to also join other legit survey sites at the same time to increase your earning opportunities. But Survey Junkie is definitely one of the legit sites worth considering if you live in one of the available countries. It has great reward options, low payout threshold, reliable and fast support, and some great extra ways to earn high rewards, if you qualify for the focus groups, etc. It is very easy to join Survey Junkie. You just click the button below and will be taken to the sign-up page. Remember, you can only join from US, UK, CA, and AU. Signing up only takes a few seconds. And remember by verifying your email, you will right away get a joining bonus. If you have any comments, questions, or have any experiences with Survey Junkie yourself, I would love to hear from you in a comment below. Overall Survey Junkie is a legit survey site with decent earning opportunities, and it is very easy to use. In addition to this, it has great customer support, if you should need help at some point, it has good reward options and a fairly low payout threshold. If you live in the US, Canada, UK, or Australia, it can for sure be worth joining to earn some extra cash.